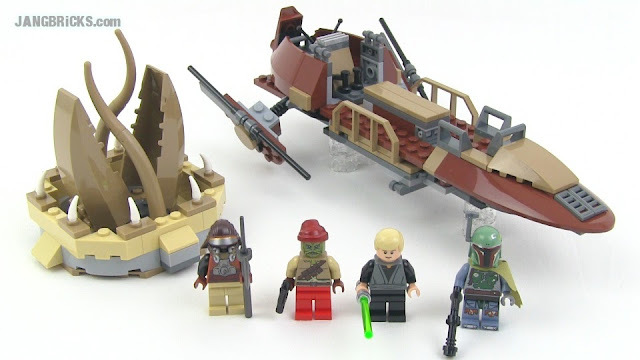 LEGO Star Wars 9496 Desert Skiff set Review! I saw this at Toys R Us a couple weeks ago and figured it would be good to pick up since I had recently reviewed Jabba's Sail Barge, plus this set was pretty cheap. 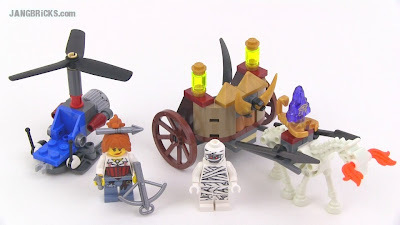 The end results were very unusual for me, as I actually ended up liking the set for the minifigures more than anything! 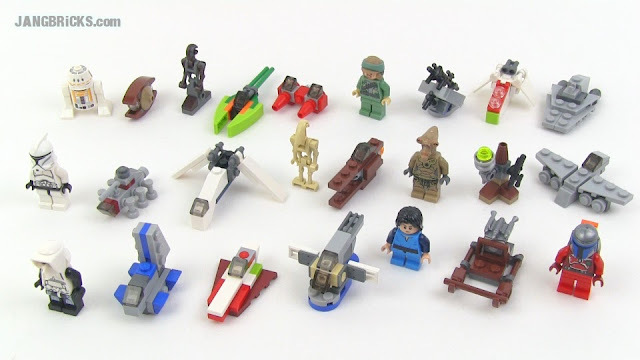 Video: LEGO Star Wars 9496 Desert Skiff set Review! 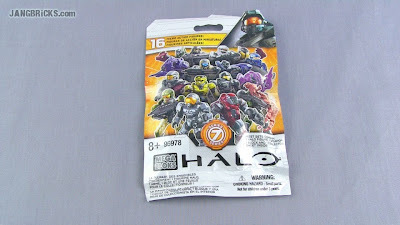 I also have more mystery pack openings for you all, so check that out. 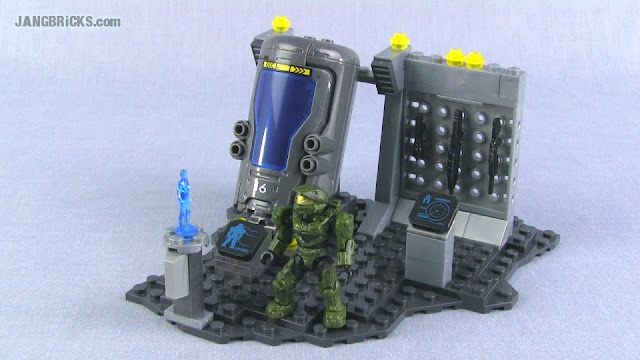 One more video to go before I finish up series 7! 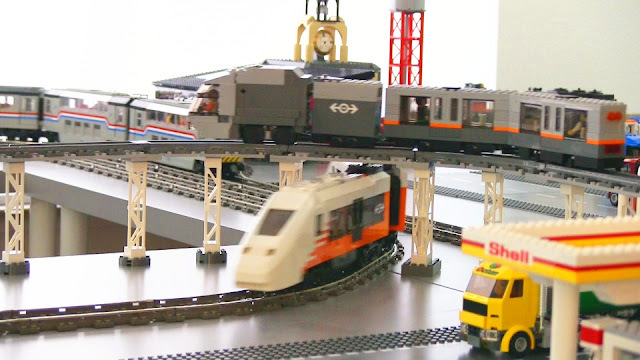 Video: Three LEGO trains running in my LEGO City! It's a happy day for me as my all-custom narrow-gauge Power Functions RC elevated light rail (what a mouthful!) setup is finally running a full loop around what will some day be a LEGO city! Assume everything you see is incomplete, under construction, out of place, or otherwise temporary. Shell station is new, never before shown, and not complete. Tower of Orthanc will not be in the city in any way. Trains will have stops/stations of course. Etcetera :) I just wanted to share this joyous little occasion. There's still a ton of work to be done! Two more current Mega Bloks Halo reviews for y'all, one a Target Exclusive and one a mech. Honestly, who doesn't like mechs? This was a haul that left me with a *lot* of work to do in its wake! Hopefully I'll be able to show how it all goes together soon! 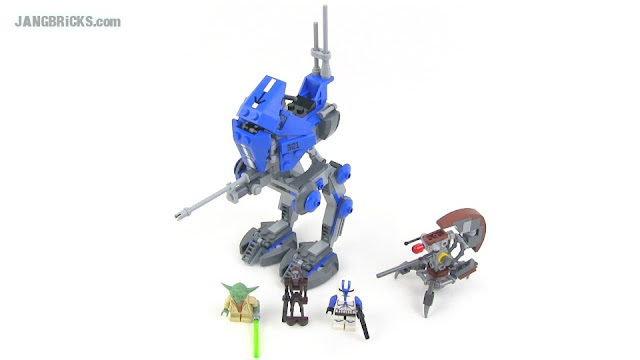 LEGO Star Wars 75002 AT-RT set review, plus a bonus! 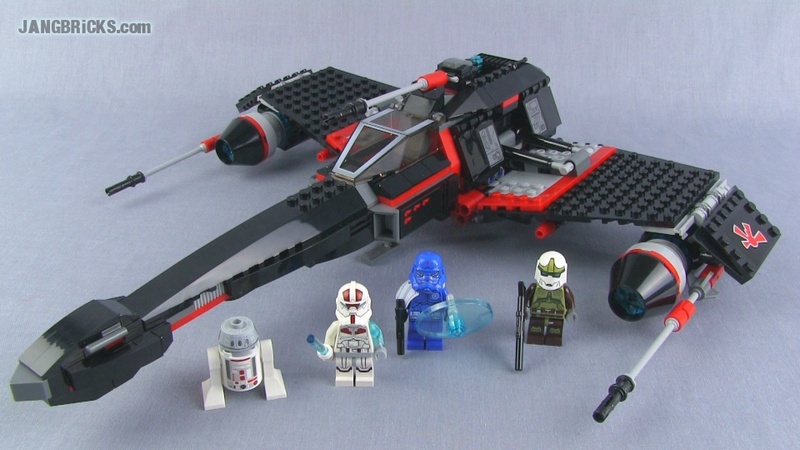 There were really quite a few LEGO Star Wars sets in the final Summer 2013 release wave. 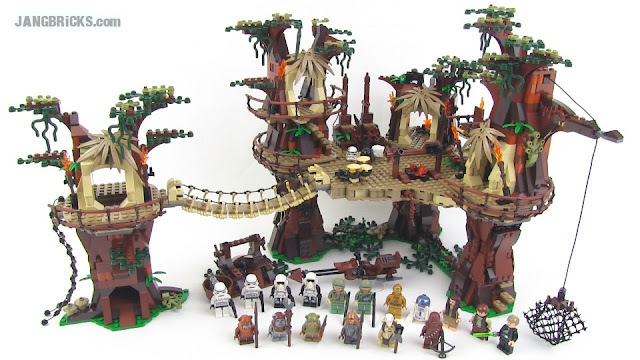 I bought all of them at once at my "local" LEGO store, three huge bags stuffed full, but I've taken my time releasing them so as not to overwhelm folks and trigger dramatic upheaval about how "all you ever do is Star Wars anymore!" Keeping the video order a little randomized seems to keep worries at bay, so I'll just keep this up! Video: LEGO Star Wars 75002 AT-RT set review! 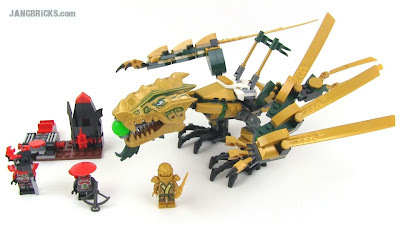 LEGO Ninjago Golden Dragon 70503 set Review! 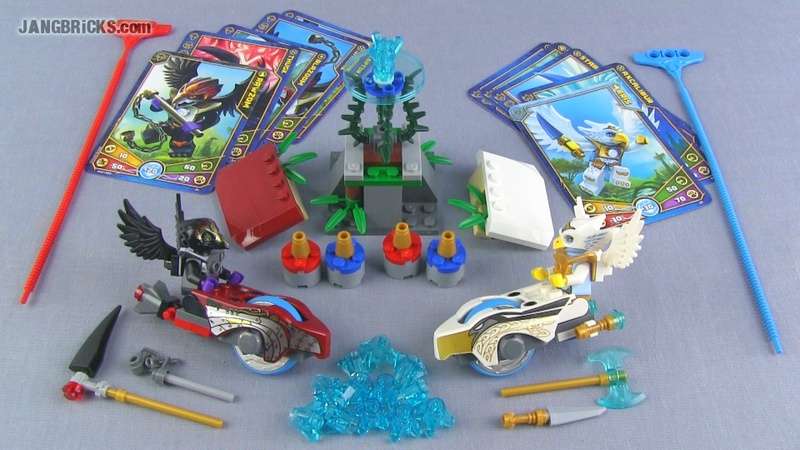 This is only my second Ninjago set review, and a much more substantial set it is than the last. 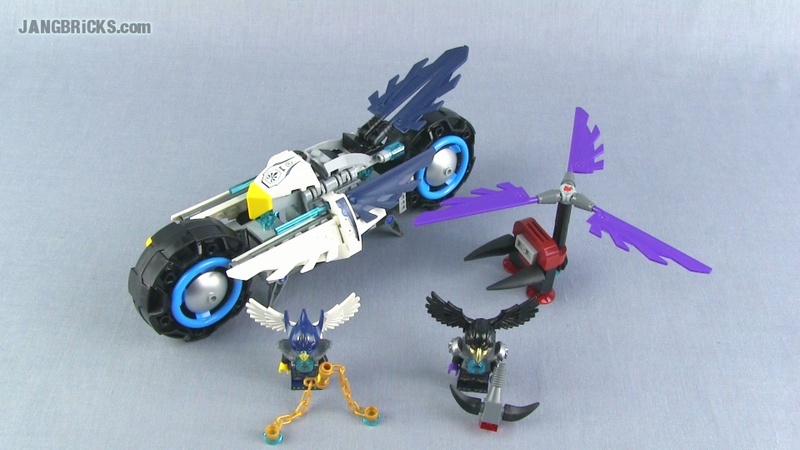 This one includes the sleek golden dragon plus one additional assembly and three minifigs. 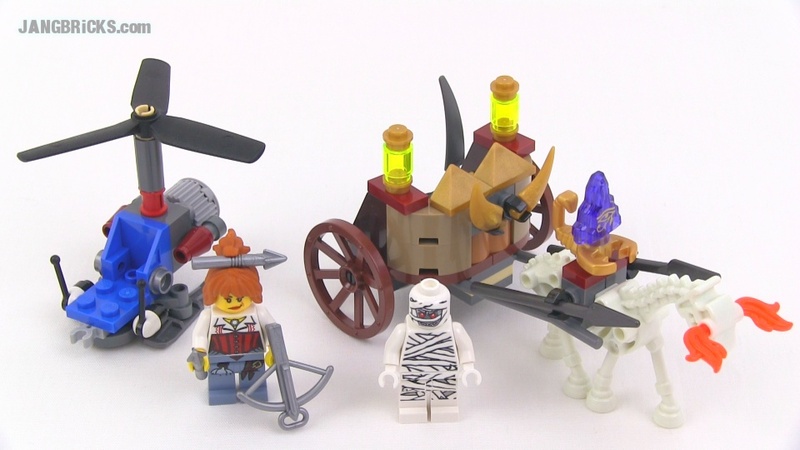 Video: LEGO Ninjago Golden Dragon 70503 set Review! 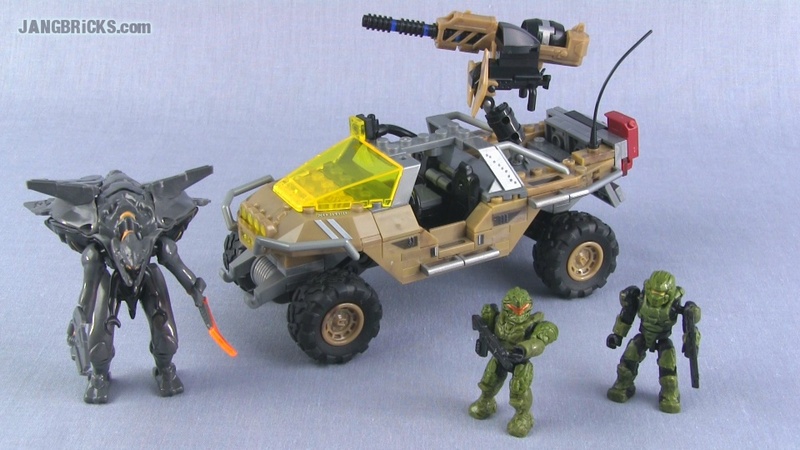 Mega Bloks Halo 97116 UNSC Siege Bike set review! 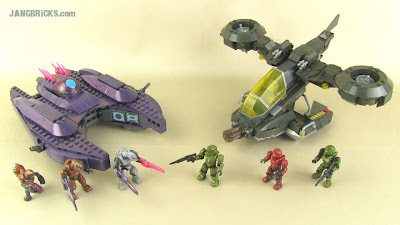 Mega Bloks Halo 97102 UNSC Light VTOL set review! 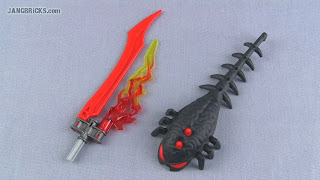 What do you think about the prices of these? I feel like they're taking advantage of their success with the Halo line a bit too much and hiking prices up a bit too far now. On a price-per-part basis, these are more expensive than most LEGO sets, which to me doesn't feel right since Mega Bloks parts quality still consistently lags behind the king from Denmark. 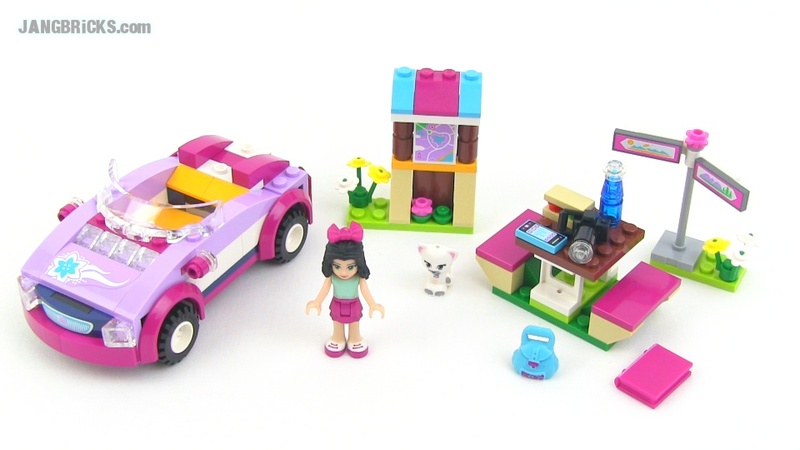 LEGO Friends 41013 Emma's Sports Car set review! 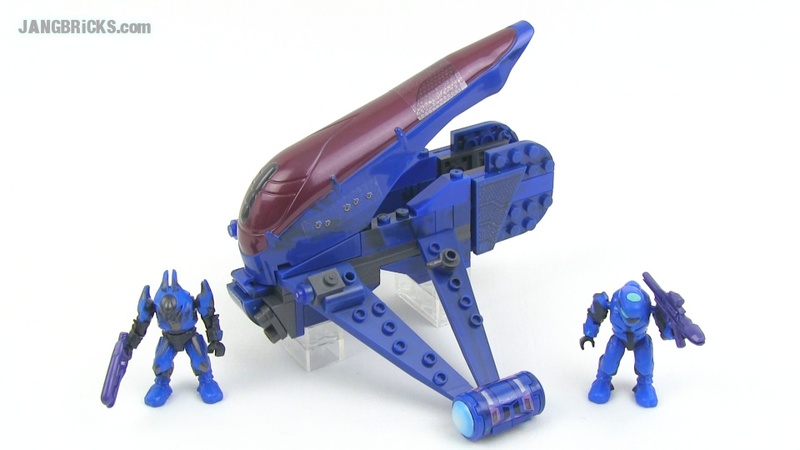 Here's one of the smaller, cheaper, and also more recent LEGO Friends set releases, just hitting the market in the US this month. 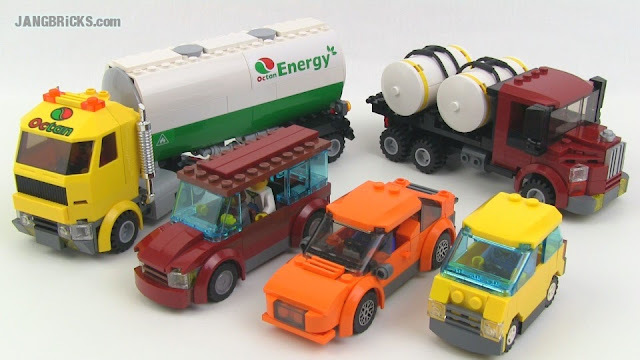 Video: LEGO Friends 41013 Emma's Sports Car set review! What do you get when you mix an alien bull-buffalo with a giant praying mantis? Well, I don't know what you get, but this is what "the mad scientist" got on his second try! Saw this at my local Target store a little over a week ago and decided to check it out. Glad I did! 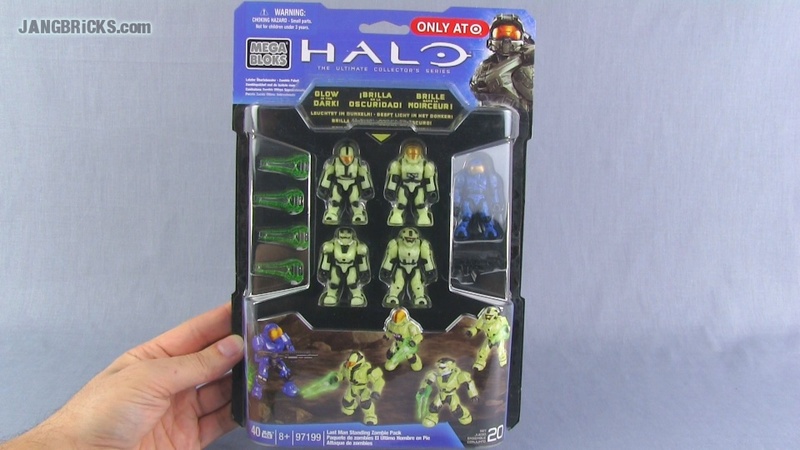 Glow in the dark mini-sized Spartans with plasma swords, heck yeah! LEGO Star Wars Ewok Village 10236 full Review! LEGO VIP members can buy this set right now at the LEGO online shop. Here it is, unveiled at last, my custom LEGO fire department structure that barely fits in my studio photography area :) To thank you blog viewers for your support, I'm showing it to you all first, well before the general YouTube community gets to see it! That'll be the last fire-related item I build for quite awhile, I expect, with the possible exceptions of some hydrants or extinguishers. 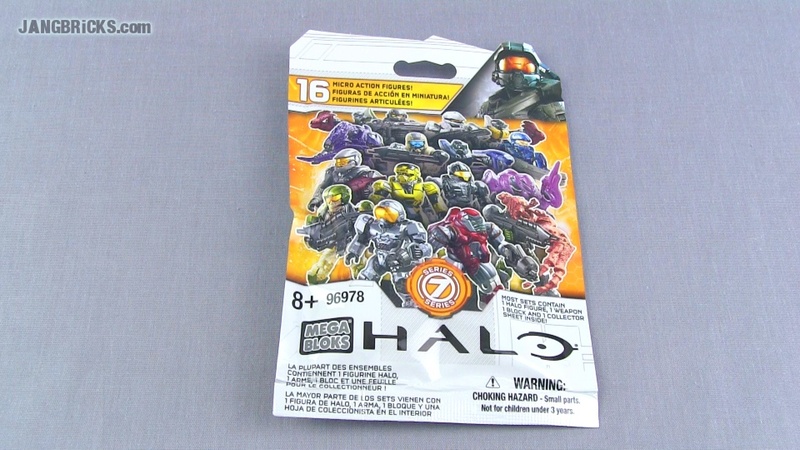 Over the past month of trying out Mega Bloks Halo products I've encountered several minifigures with mismatched, malformed, or missing parts. 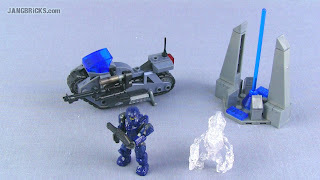 Then, when attempting to build the $100 Pelican set, I found I was shorted 147 pieces. I methodically filled out the missing parts request form and moved on to another set. That one was incomplete as well. I filled out ye olde form again, and I should have taken more serious notice of the difference in sequential confirmation ID numbers I received between the two. In a matter of a couple of hours, it increased by 29. That means 28 other people had submitted requests for replacement or missing parts in that short of a period of time. 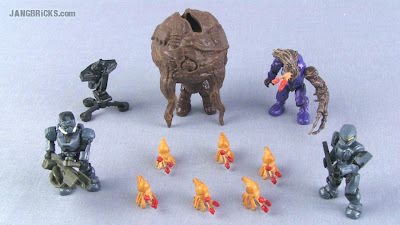 Today I successfully built another MB Halo set, then moved on to yet another, and guess what? 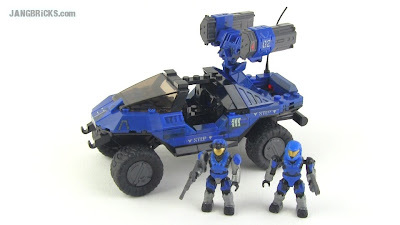 Two missing parts in this one as well. 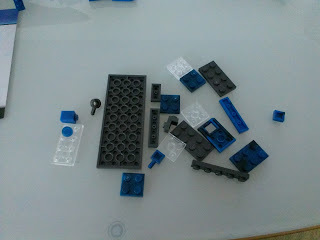 That's now 3 out of 4 sets in a row that could not be completed due to critical missing parts. That's 3 sets purchased at two different locations, from three different sub-series. While typing this here, I received confirmation that my 3rd part request had been approved. Another 167 such requests were approved since my last one (last night). This is not bad luck. This is an epidemic. You'll be hearing more from me on this topic! 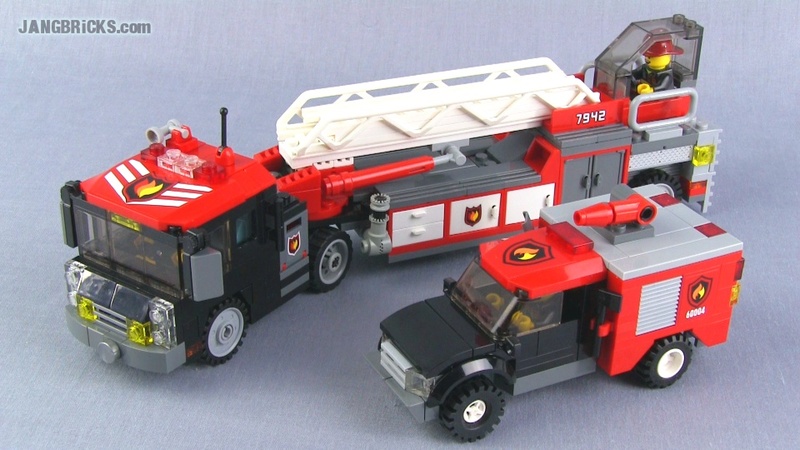 You've already seen my individual reviews of sets 97131, 97133, and 97170, and now here they all are together in the official combination model! 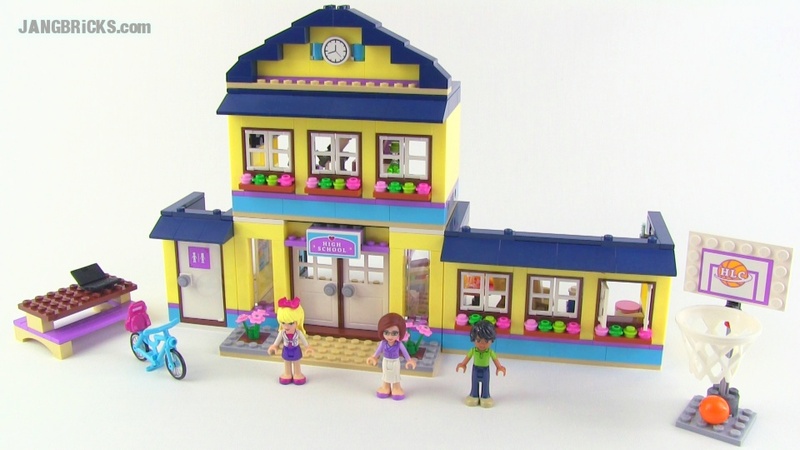 LEGO Friends Heartlake High set 41005 Review! Stop! 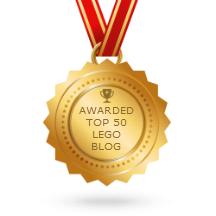 Don't read any further if you don't like LEGO Friends! If you do like this theme, this is one very nice set that's absolutely jam-packed with details & small features that you can use either within the structure as designed, or separately and in conjunction with other sets! 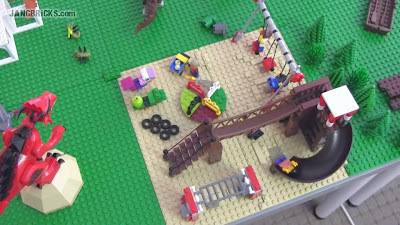 Video: LEGO Friends Heartlake High set 41005 Review! At last! The end of my LEGO fire vehicle MOCs for awhile! I finished these a couple weeks ago and have been anxiously awaiting an opportunity to slot them into the video queue. These were two key pieces to finish up my initial fire collection, and the hook & ladder truck was needed to determine the size of the garage on my fire station! Yes you read that right. Friday I started building the big all-new $100 Pelican Gunship set and didn't make it past the first half of the first page of the instructions. 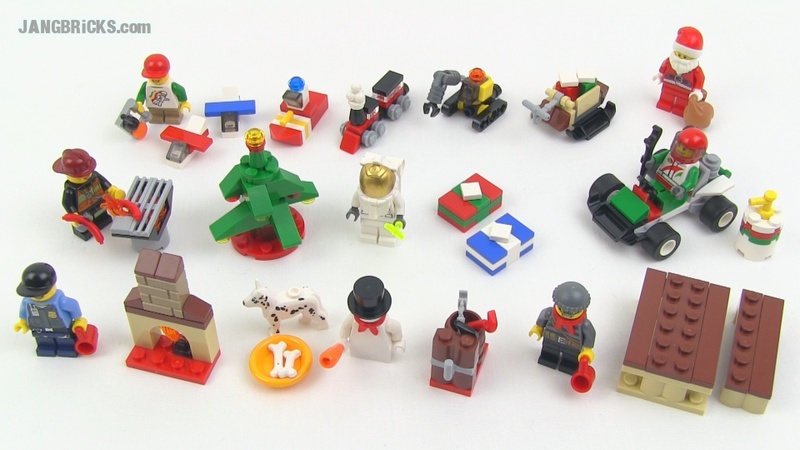 I did not have any simple 1x1 plate pieces, of which there should be 12 in the set. Frustrated, but determined to proceed, I headed to my completed sets/parts bin and scavenged up just enough pieces from other sets in a close-enough color to proceed. Two steps later, I found myself in need of a 1x2 plate this time. No dice once again, but this time there were supposed to be 35 of the item. That brought things to a full stop. Apparently there is a full bag of small pieces missing, and after doing a thorough inventory check today, the missing part count came to an eye-popping 127 147. It's pretty miserable. 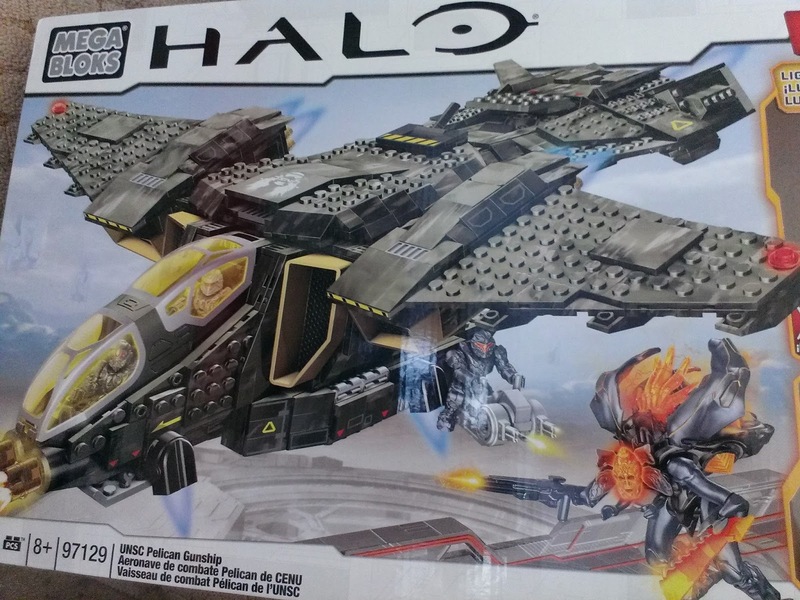 This is a huge, exciting set, and I had even taken the time in advance to sort out the 1,100+ randomly-packaged parts into 12 separate trays help with the always-daunting task of finding parts needed at each step. I went to the Mega Bloks missing parts form online and filled it out. That process nearly failed as well, as the form began to break the web page, there were so many entries, and I had to type the last line completely blind, with only a few pixels of the final "add" button visible! I got the thing submitted, though, so hopefully they will be able to help me out as many of you viewers have said they do. In the meantime, I'll have this big mass of trays of parts laying around collecting dust. I'll have to scrounge up some more temporary sorting containers from the kitchen to allow me to continue moving forward with other builds! 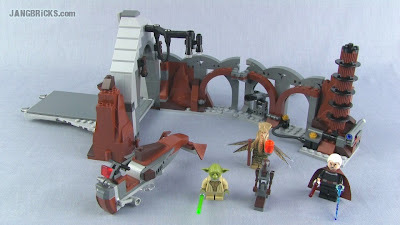 Lego Star Wars Duel on Geonosis 75017 set Review! I have a mixed bag of emotions about this set. There are some things in it that I really like! Then again, there are some things that I could completely do without. 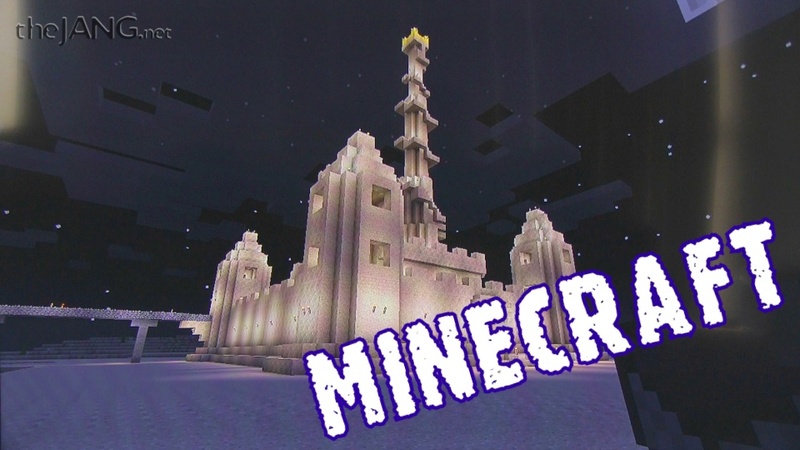 As always, my reviews are uncensored and I share both positive and negative points! Video: Lego Star Wars Duel on Geonosis 75017 set Review! Mega Bloks Halo Flood Hunters Battle Unit 97160 set Review! This evening I updated my tally of videos for which all footage is already filmed. The number is now 25! That's 25 videos that have already been filmed and are just waiting to be slowly released (so as not to send odd viewers into a massive panic just because I've uploaded more than a few videos in a day and they feel forced to watch them instantly). 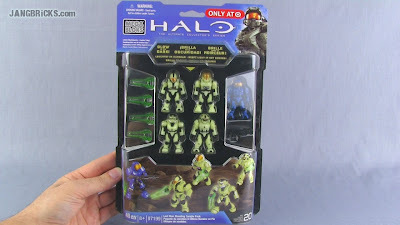 Meanwhile, this week I've bought a number of new Summer 2013 Mega Bloks Halo sets, plus a couple more older ones, and I now have 27 videos worth of stuff which has not yet been filmed. That's after uploading 24 videos to the JANGBRiCKS channel this week. Soooo, I've made a lot of progress, but I've also cancelled out a lot of that by adding new stuff to the queue! 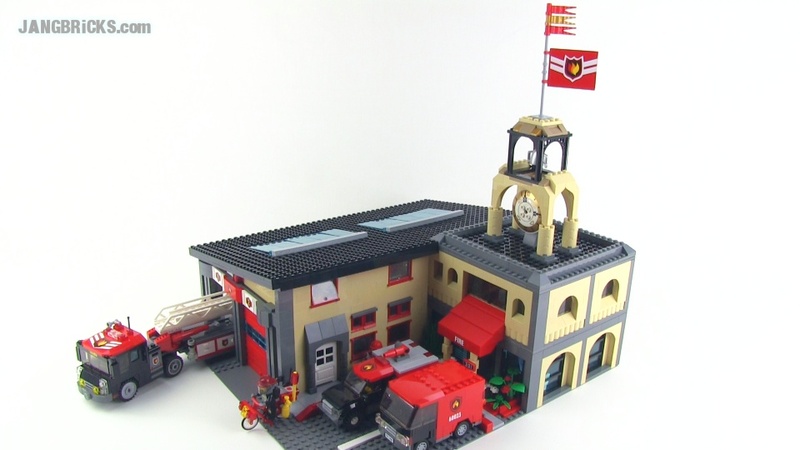 Meanwhile, I continue to work on small MOCs for my city offline and have also started on concepts for a couple of big ones. Read on for the updated list of video topics yet to come. 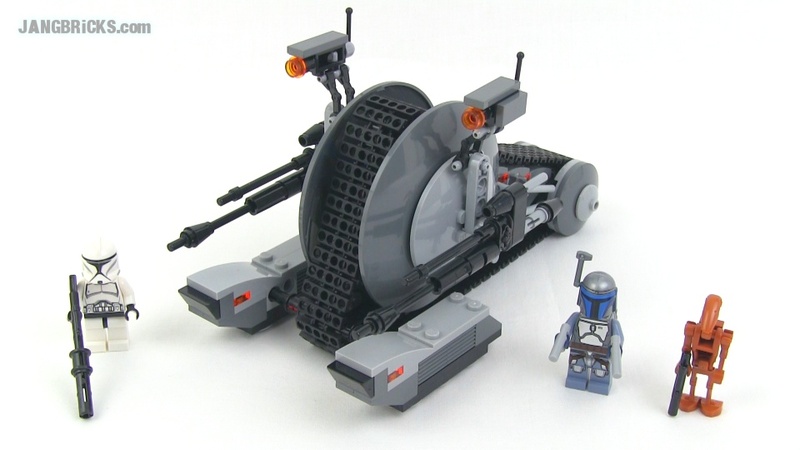 LEGO Star Wars Mandalorian Speeder 75022 set Review! 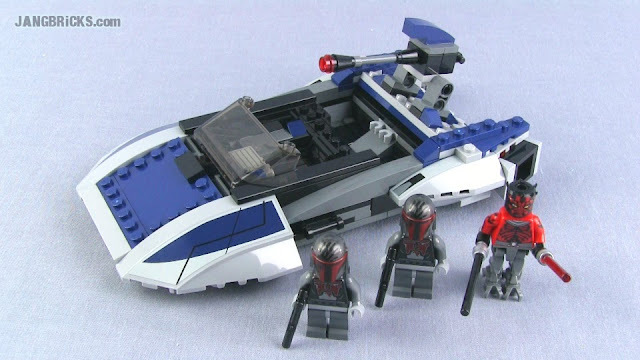 Video: LEGO Star Wars Mandalorian Speeder 75022 set Review! 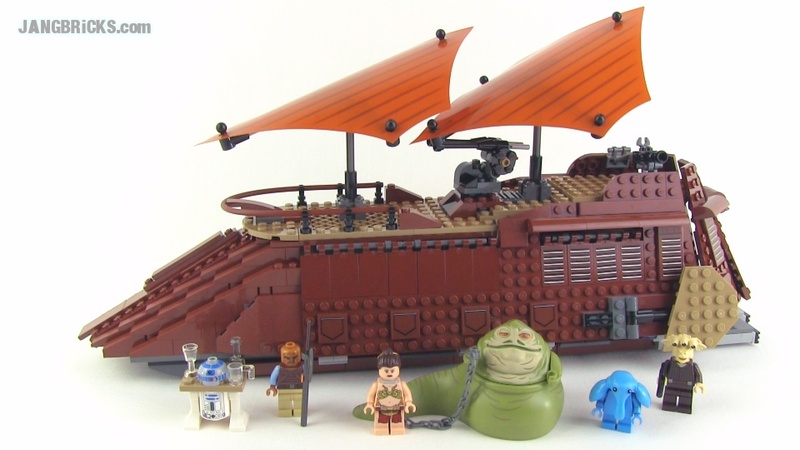 LEGO Star Wars HH-87 Starhopper 75024 set Review! Here's a vehicle from the Clone Wars TV series, a sub-universe I'm not a particularly big fan of, but this ship is actually quite nice. 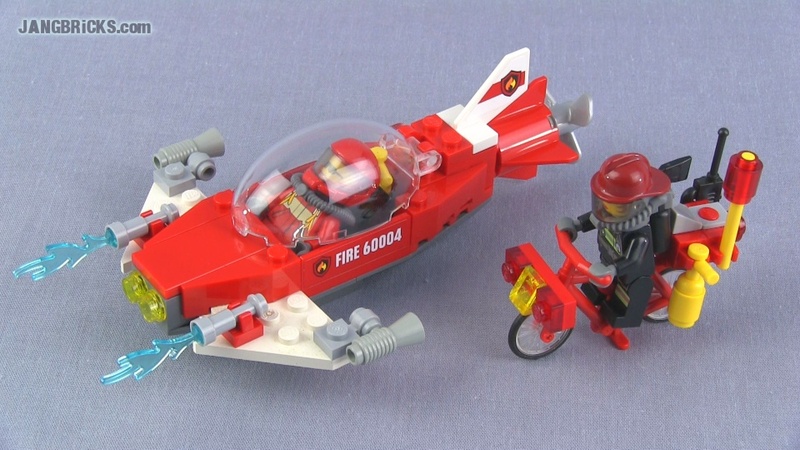 Video: LEGO Star Wars HH-87 Starhopper 75024 set Review! Weekend miscellany: Four new videos! 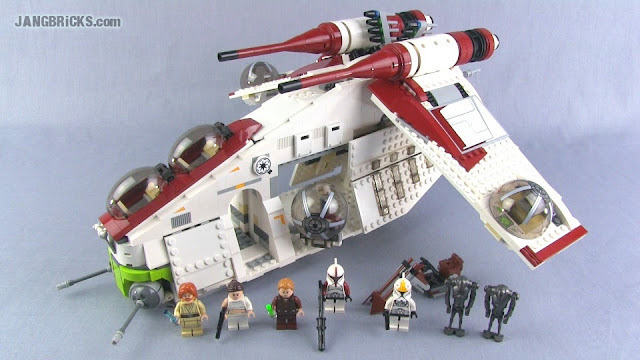 LEGO Star Wars 75021 Republic Gunship set Review! You've asked for more Star Wars. I'm givin' ya more Star Wars! Big Summer 2013 ship set this time to kick off the weekend early! 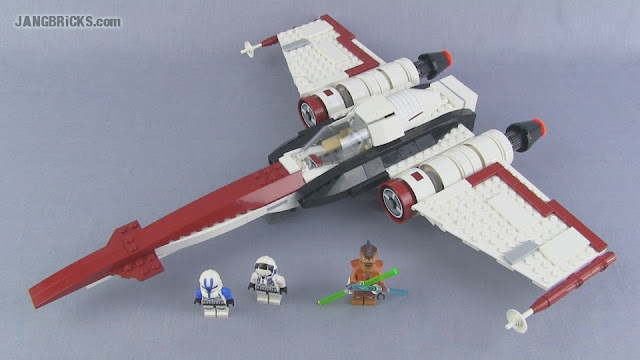 Video: LEGO Star Wars 75021 Republic Gunship set Review! 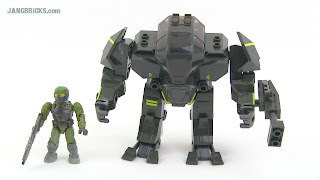 Mega Bloks Halo Night Ops Gausshog 97134 set Review! 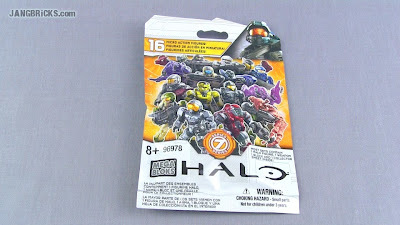 Sweet, another new Summer 2013 Mega Bloks Halo set I found at my local Toys R Us, and it's a good one! 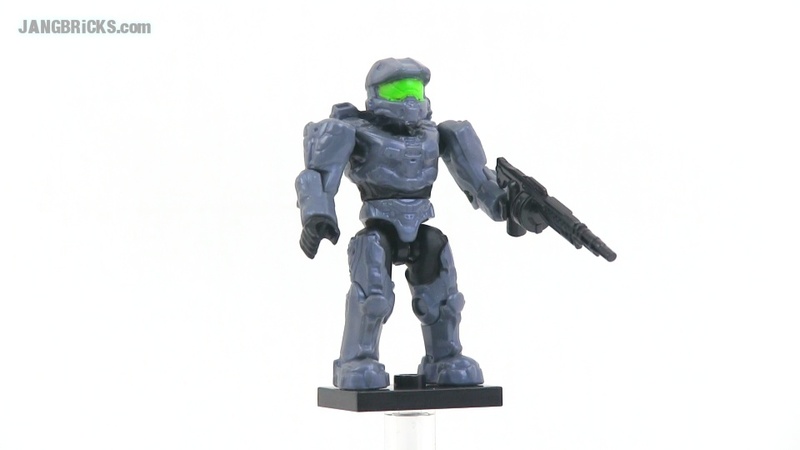 Videos: Mega Bloks Halo Night Ops Gausshog 97134 set Review! LEGO Star Wars Z-95 Headhunter set 75004 Review! 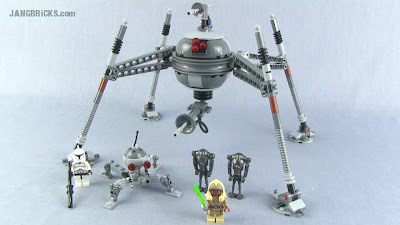 Yet another LEGO Star Wars review for y'all! 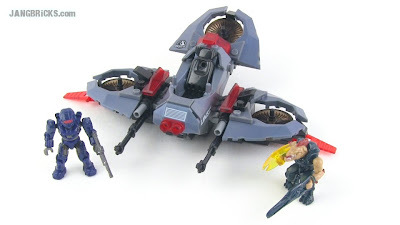 Not the very newest release, but still a current and relevant set. Video: LEGO Star Wars Z-95 Headhunter set 75004 Review! 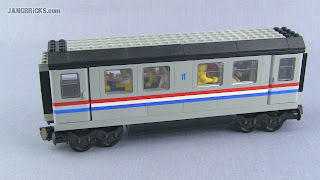 Not a particularly special or impressive MOC, this little train car is, but it makes me happy anyhow :) This was built mostly from spare parts left over from converting my original Metroliner passenger car into a baggage car. I took the latter's two doors out and added in a "new" old gray base from a Bricklink haul. 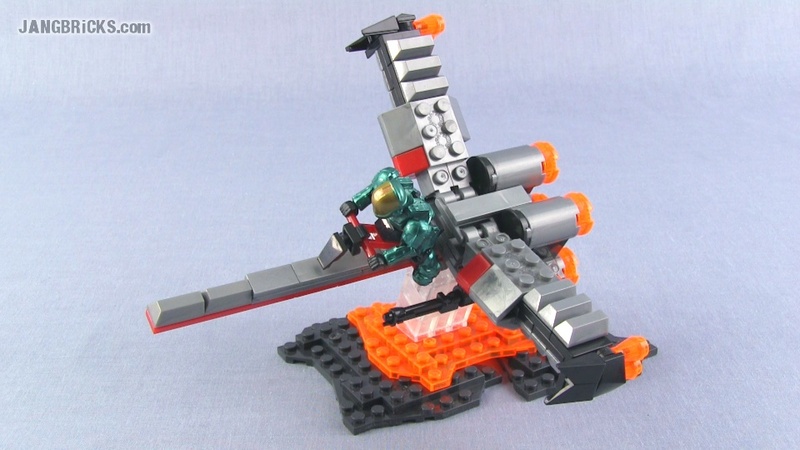 LEGO Star Wars JEK-14's Stealth Starfighter 75018 set Review! 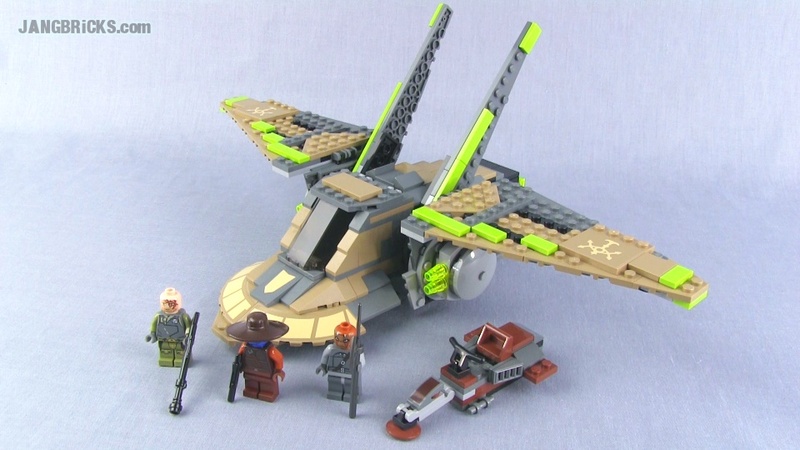 Here's a 2013 LEGO Star Wars ship set with some interesting new minifigures, all derived from the Yoda Chronicles mini-series. Video: LEGO Star Wars JEK-14's Stealth Starfighter 75018 set Review! LEGO Chima Speedorz 70108 Royal Roost set Review! 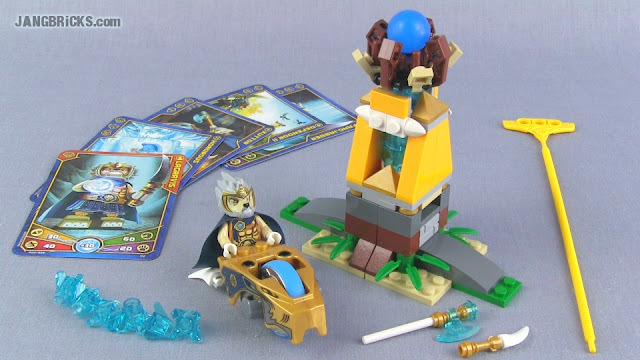 Here's another of the newer Summer 2013 Legends of Chima Speedorz sets, this time featuring Lagravis, king of the Lion Tribe, in his cheapest & most accessible set by far! Video: LEGO Chima Speedorz 70108 Royal Roost set Review!